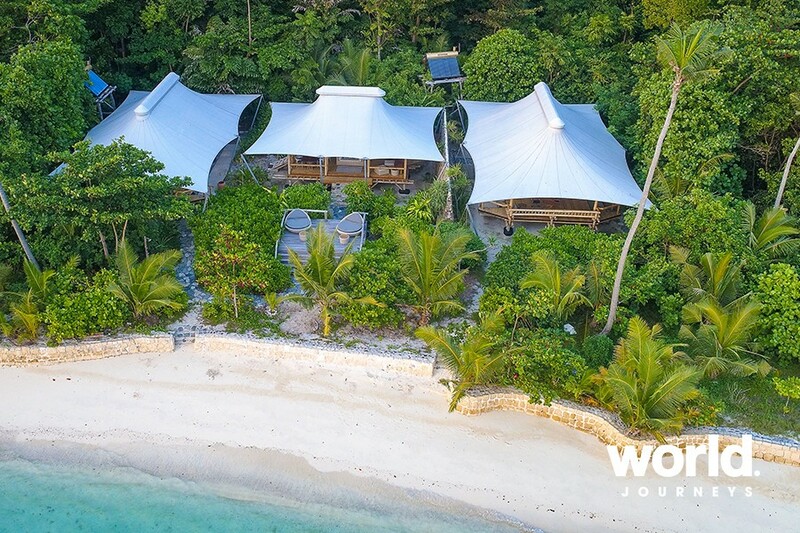 Enveloped by lush tropical greenery and azure blue ocean, Bawah Reserve rests in sheltered carefree seclusion within Indonesia's remote Anambas Archipelago. 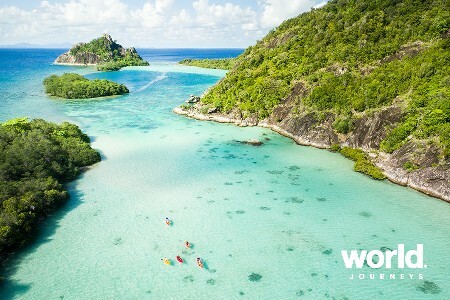 This pristine and previously uninhabited marine conservation area is surrounded by clear turquoise waters, blue lagoons and coral reefs, making it the perfect retreat for outdoor adventurers with an appetite for indulgence as well as paradise seekers looking for relaxation. 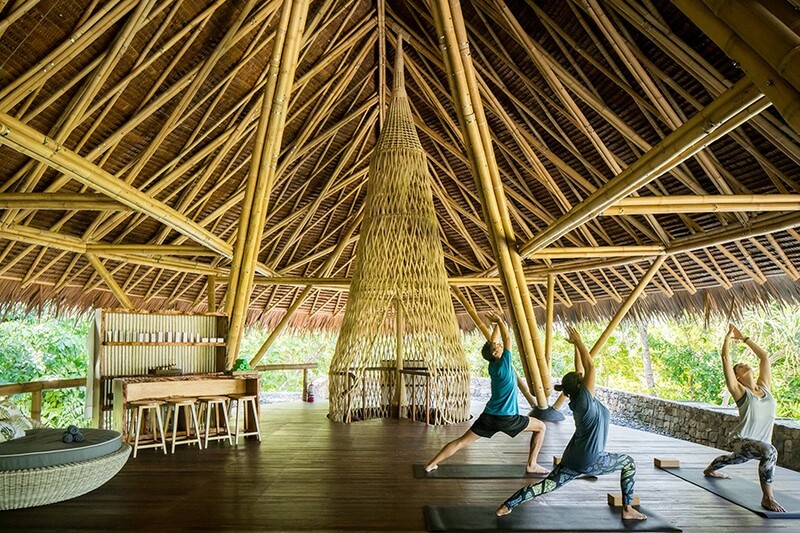 Offering the true meaning of all-inclusive luxury, Bawah is the only retreat in Asia to include all spa treatments, guest activities and transport. 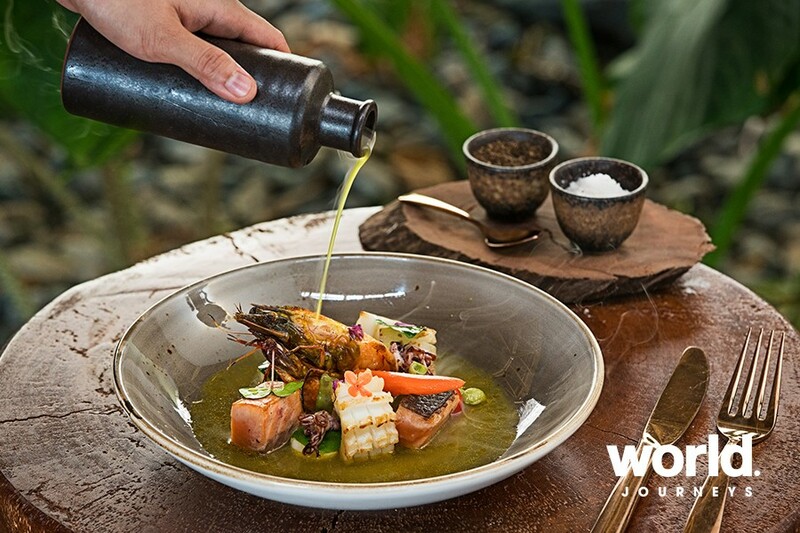 Every detail is taken care of, from your spectacular seaplane journey to endless experiences including kayaking, snorkelling, forest treks, hands-on cooking classes, and picnics on the beach. All you need to do is enjoy! Beach Suite A luxury tented beachfront suite set amongst lush foliage and a stone's throw from pristine, white sand and glistening lagoons. Peaceful privacy, gentle breezes and sea views from your verandah. 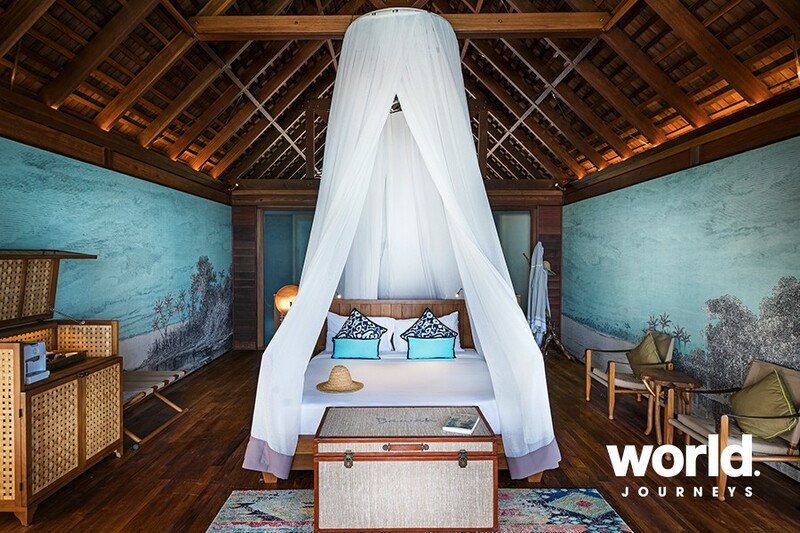 Dotted along the island's white-sandy shoreline with the sound of the waves gently lapping, experience the romance of sleeping in one of our 19 beachfront luxury safari-style suites (70 sqm). Open the canopy to the elements or close the sides as you prefer. 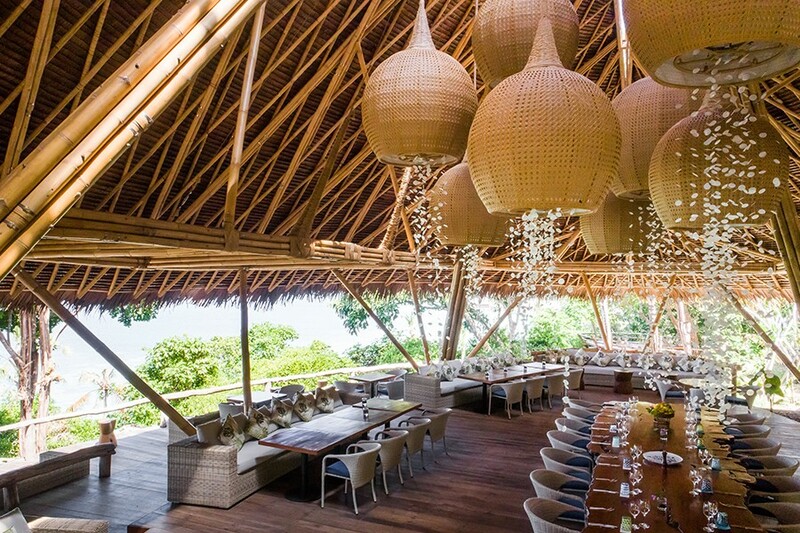 The suite's tented ceiling stretches across the verandah for a shaded daytime reading spot or a fine dining lunch. Step down onto your own private beach area and enjoy a soothing massage experience or drift away on your sun lounger. End the day with a dip into sapphire waters that are so crystal clear it's almost a cliché. Deluxe Beach Suite Our one bed Deluxe Beach Suite is a home away from-home with 1 beach suite, and a separate living & dining pavilion for entertaining your friends and family. The lounge and dining areas have been designed to complement the panoramic views, perfect for a private sunrise breakfast or sunset supper experience. Enjoy the peaceful privacy, gentle breezes and sea views from a hideaway sundeck. Open the canopy to the elements or close the sides as you prefer. If you need a second bedroom there is also the option of reserving the neighbouring beach suite with twin beds if required. Please note the beach suites are around 50m apart and not suitable for young children alone. 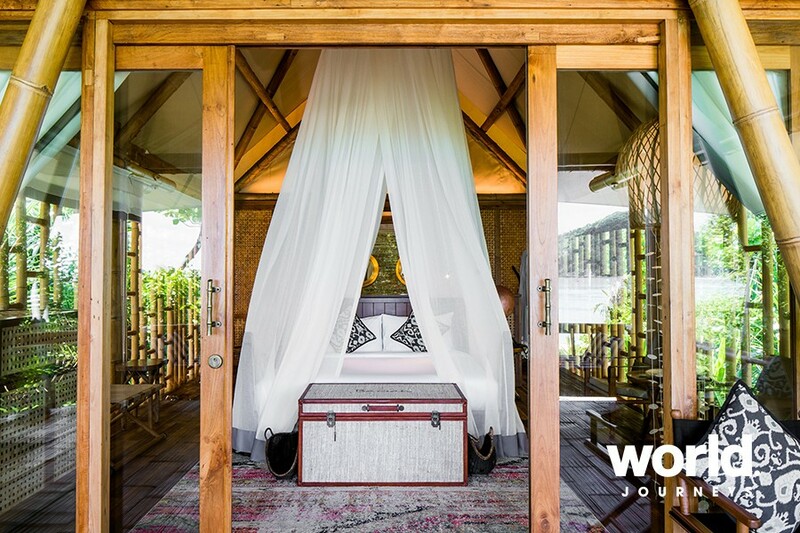 Garden Suite Set slightly back from the beach amidst sun-dappled jungle terrain, enjoy a luxury safari-style tented Garden suite (70 sq m). Wake up to the dawn chorus and the cheeky whistles and hoots of the black minah birds as they cavort in the Indian almond trees around you. Step out of your verandah onto the sandy forest floor and you'll find that you're only footsteps away from the beach. The suite's tented ceiling canopy stretches across the veranda for a shaded daytime reading spot on the five-metre daybed. Open the canopy to the elements or close the sides as you prefer. 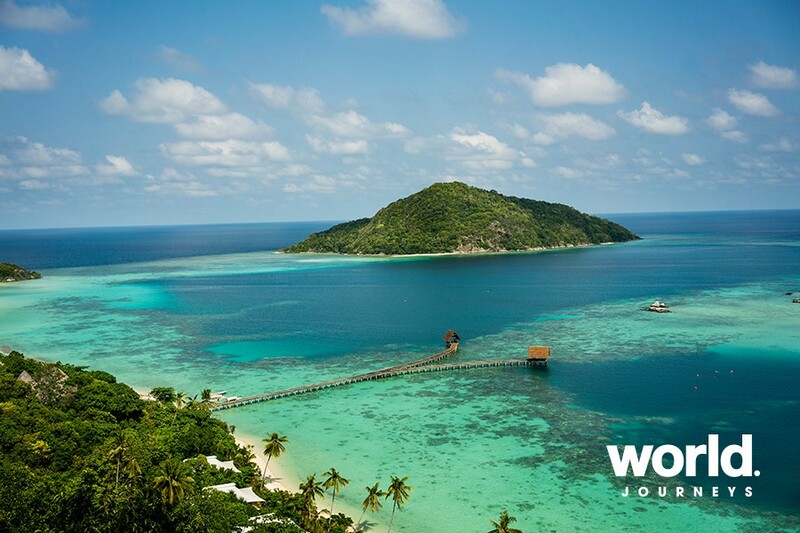 Overwater Bungalow For a romantic getaway or dream honeymoon, upgrade to a beautiful Overwater Bungalow. 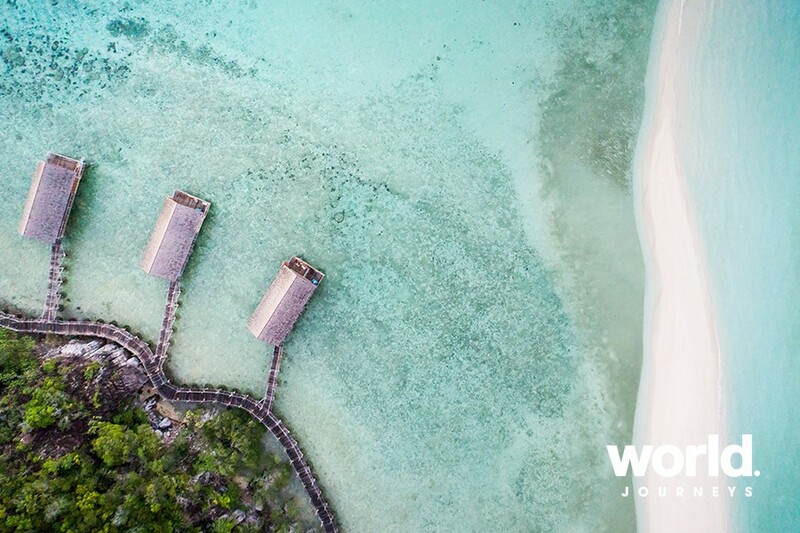 Exclusively accessed by ironwood walkways, our 11 Overwater Bungalows (105 sqm) are blessed with splendid vistas over the lagoon and outer islands, with six suites catching the sunrise in the east, and five perfect for a sunset in the west. 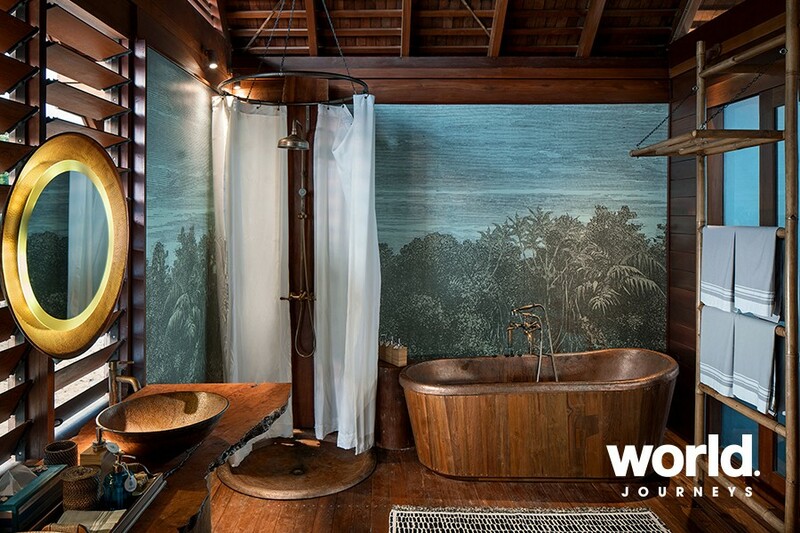 Sliding doors open into an air-conditioned interior adorned with aqua-hued seascapes and jungle murals. Steps lead from a private verandah and open-air sundeck straight into the tropical waters below. 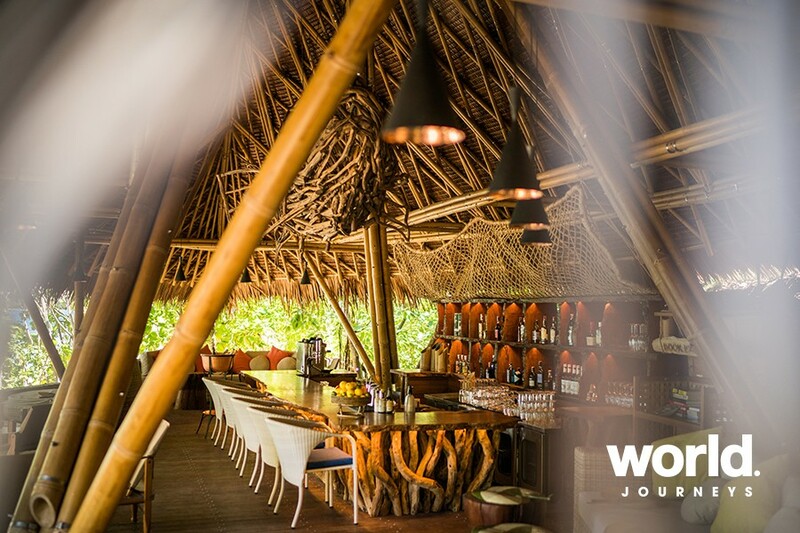 Perfect for enjoying your very own spectacular sunset with a cocktail from your own bar or a personalised gourmet dining experience. Stay 5 nights/Pay 4 nights on selected dates in 2019/20. Stay 5 nights and pay for only 4 nights on all room types, from 01 Jan 2019 - 29 Feb 2020 excluding 15-24 April 2019, 01-31 August 2019, and 20 December 2019 - 02 January 2020. 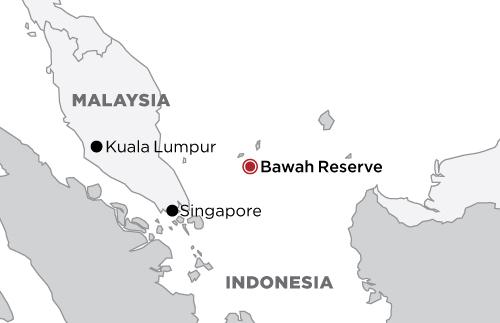 Bawah Reserve A luxury tropical retreat in the remote Anambas Archipelago of Indonesia.